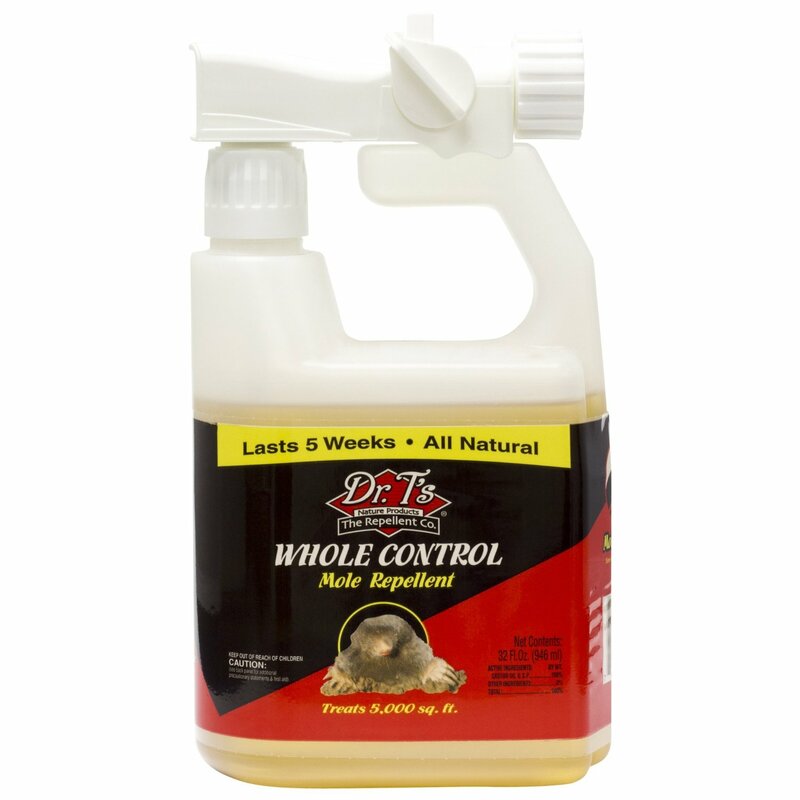 PRODUCT DESCRIPTION: This material is a concentrated bad tasting agent which is sprayed on grass and other yard areas where nuisance animals are digging. Whole Control tastes bad and by treating the dirt the goal is to chase away offending animals and make them find food elsewhere. Whole Control is not a poison and it will not hurt any animal that eats or comes in contact with the treatment. Its mode of action is to leave a bad taste in the ground which digging animals do not like. This will force them to find food and shelter elsewhere. WHERE TO USE IT: Outside in the yard, turf, mulch islands, flowerbeds, etc. RATE OF APPLICATION: Quarts will cover up to 5,000 sq/ft effectively and treatments will last 2-4 weeks. Simply hook the "ready to spray" jug up to your garden hose, turn on the water and you're all set to treat. Whole Control can also be mixed with water and applied with a pump sprayer. Add 2.5 oz per gallon of water and use this mixture to cover up to to 400 sq/ft of turf.